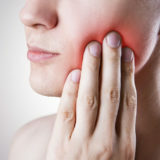 If you are missing teeth, then it can be embarrassing you and you can have problems eating. If you are considering a dental implant, then there are certain factors to consider to see if you are an ideal candidate. There are Concord dentists that can provide the treatment safely and answer any questions you may have about the procedure. A dental implant is a tooth root replacement, which works by binding to an artificial tooth. Unlike removable dentures, a dental implant works by fusing to bone, so it is a permanent way to replace a missing tooth. If you are considering getting a dental implant, then there are several factors to consider. A dental implant can be ideal for those who don’t want removable dentures. If you have a missing tooth due to injury or tooth decay, then dental implants may also be an ideal choice for you. In order to get a dental implant, you must be healthy enough to have a surgical procedure. When you get a dental implant, a dentist will administer general anesthesia, which will prevent you from feeling any pain during the procedure. It is also important that you have enough bone to support the treatment. If you do not have enough bone, there can be treatments that can be effective with bone loss. A dentist will examine your jaw before the procedure to be sure there is enough bone. Those who are not suitable candidates are heavy smokers or individuals who suffer from chronic illnesses, which include diabetes or cardiovascular disease. Furthermore, individuals who have had radiation therapy on their heads may not be able to undergo the surgery, but this will be based on each person’s circumstances. Concord dentists can provide you with an evaluation to see if you are a suitable candidate. How Long Will it Take for You to Recover? In most circumstances, it will take you between 6 to 9 months to recover from the surgery. However, most people are completely recovered by 6 months. If you want to know more about the treatment, then contact us today! Our staff has the knowledge to answer any questions you may have about the treatment. 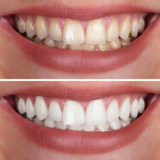 nextForget About Coffee Stains On Your Teeth. Our Concord Dentists Are Here To Help!